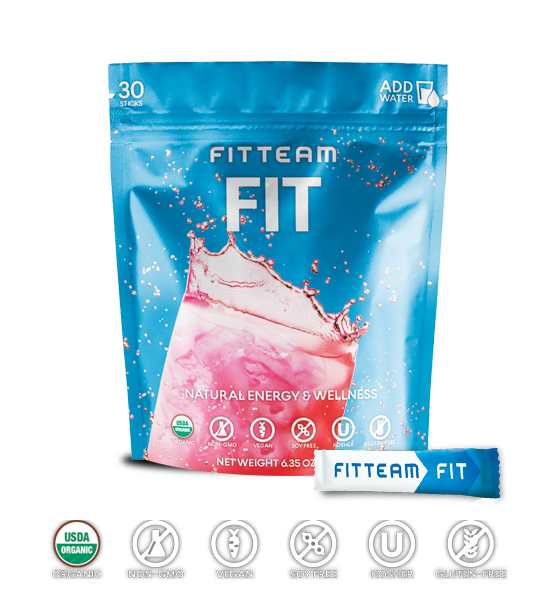 FITTEAM FIT is a great tasting, all-natural beverage with a revolutionary blend of USDA Certified Organic ingredients that boost your energy, lift your mood, control your appetite and aid in fat loss. * FITTEAM FIT is the first beverage of its kind that’s organic, non-GMO, gluten free, lactose free, soy free, vegan and kosher. Conveniently packaged in individual stick packs, FITTEAM FIT is designed to be used at the gym, on the road, or anywhere life takes you. All you need to do is combine one FITTEAM FIT with 6-10 oz of water and drink. FITTEAM LEAN is a delicious vanilla-flavored, plant-based protein powder that promotes lean muscle development, supports a healthy metabolism, aids in weight management, increases energy and boosts stamina. 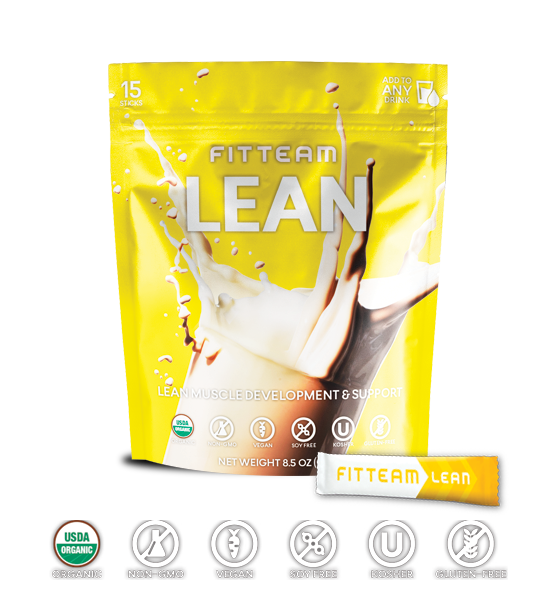 * FITTEAM LEAN is certified USDA Organic, non-GMO, gluten free, soy free, lactose free, vegan and kosher. Conveniently packaged in individual stick packs, FITTEAM LEAN is the perfect post-workout beverage or nutritious snack on the go. To enjoy, simply mix one FITTEAM LEAN with 6-10 oz of water, almond milk or low-fat milk. FITTEAM HYDRATE is an all-natural and delicious way to restore your balance and feel your best by replenishing your body through optimal hydration. 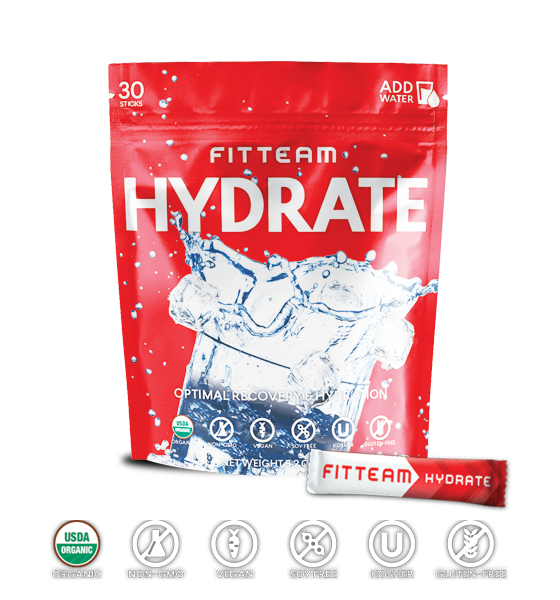 Conveniently packaged in individual stick packs, FITTEAM HYDRATE is designed for everyone in the family to enjoy at home or on the go. FITTEAM is not only helping people get “FIT” physically with its simple and easy to use product, it’s also helping people get “FIT” financially by sharing the product and opportunity with others. By referring others to the product, FITTEAM Brand Partners have the opportunity to participate in and reap the rewards of one the most generous compensation plans in the industry. FITTEAM Brand Partners are a family-like network of individuals who believe when you help enough people achieve their goals, you’ll be able to design the life you want to live. INCOME DISCLAIMER: FITTEAM does not guarantee any level of income or earnings to any Brand Partner. Earnings from the FITTEAM Compensation Plan solely depend on production and each Brand Partner’s skill, ability and personal application.